Looking for fun the whole family can enjoy? Then don’t miss the Garden for Wonderland Express at the Chicago Botanic Gardens. This extravaganza will begin November 23rd and continue through January 6th, 2019. 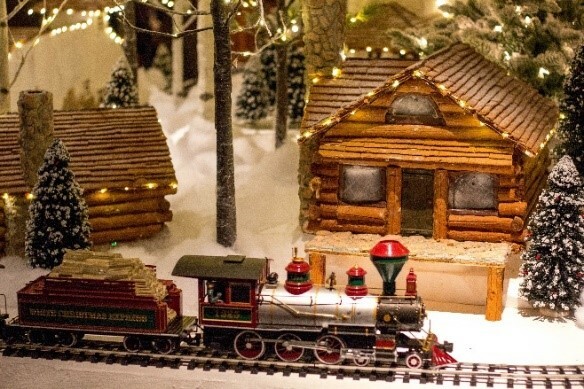 Be sure to check out the magnificent model trains, magical and glittering indoor snow or enjoy the amazing sound of the indoor carolers singing your favorite holiday songs. Don’t miss the unbelievable ice sculptors as they use chainsaws and other carving tools to create fanciful figures. If all that isn’t enough fun, the Wonderland will also feature FREE movie days on December 23rd, 29th, and 30th. Visit the Chicago Botanic Garden’s official website for additional information and event times. Be sure to enjoy the awe and winter wonder of this festive event!